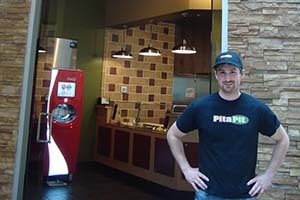 A year after graduating from Central Washington University in Ellensburg, Myles Kirchmeier became boss at his Pita Pit franchise in Capital Mall in Olympia (see https://www.facebook.com/search/top/?q=pita%20pit%20olympia). 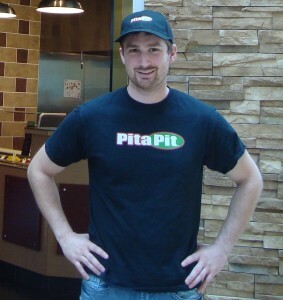 His new five-year plan is to own three Pita Pit restaurants – and then perhaps diversify. 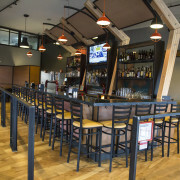 Getting the restaurant up and running has involved 90-hour work weeks. Kirchmeier has 12 employees and must stay on top of inventory, supply chain management, quality control, customer service, health and safety codes, accounting, payroll and a textbook index of other business-related issues. Kirchmeier had become a fan of the healthy fast food offered at Pita Pit while he was a student at CWU. The first restaurant opened in Canada in 1995 and there are now 500 Pita Pits in 11 countries, including about a dozen in Washington state. 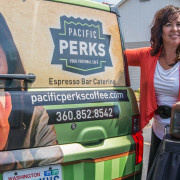 Initially he wanted to get financing on his own but, when banks refused to take him seriously, he was referred to Ron Nielsen, an advisor with the Washington Small Business Development Center (SBDC) in Lacey. 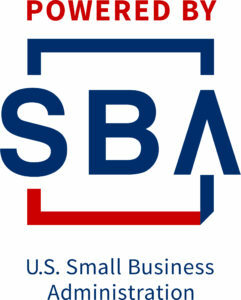 The Washington SBDC (https://wsbdc.org/) is a network of two dozen advisors providing confidential, no-cost advising to entrepreneurs who want to grow their businesses. The Washington SBDC has been hosted by Washington State University for more than 35 years. It receives federal funding from the U.S. Small Business Administration and additional state and local funding from other institutions of higher education and economic development. Nielsen and Natalya Putt, his administrative assistant, have offices in the newly opened Center for Business and Innovation, a collaboration between South Puget Sound Community College and the Thurston County Economic Development Council. The center is on the SPSCC Lacey campus at 4220 6th Ave. SE. Still, Nielsen had started his own first business at age 19, so he knew youth wasn’t a disqualifier. Kirchmeier spent the second half of his senior year at CWU finishing his coursework, working 30 hours a week at McDonalds and driving back and forth to Olympia twice a week to meet with Nielsen and Putt. For the most part, they worked on the business plan, especially standard financial statements. “By the time we got done with his business plan, he had as much confidence as some of the seasoned veterans I’ve worked with,” Nielsen said. 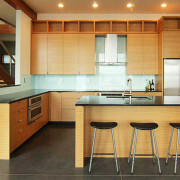 Even with a rock solid business plan, Kirchmeier was getting nowhere in securing financing. 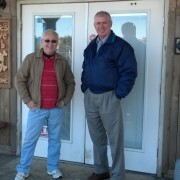 After seeing the plan – and knowing his son – Mike Kirchmeier agreed to support a good investment. “He’s exceptionally driven; he always has been,” he said of his son. 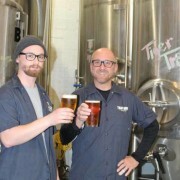 The grand opening on June 15 was bigger than he expected, said Myles Kirchmeier, and business has hummed along since. With the holidays approaching, he figures business will continue to pick up – his high-visibility location at the mall will help – so he needs to be ready for it. 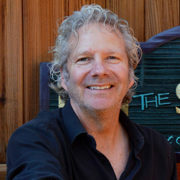 That’s one of the things the SBDC helped him understand, he said – that there would be seasonal ebbs and flows and he had to plan for them.